16-year-old dies in the hospital after being struck in a hit and run traffic accident in Jerusalem. The teenager injured in a hit and run traffic accident on Thursday morning died of his injuries several hours later. 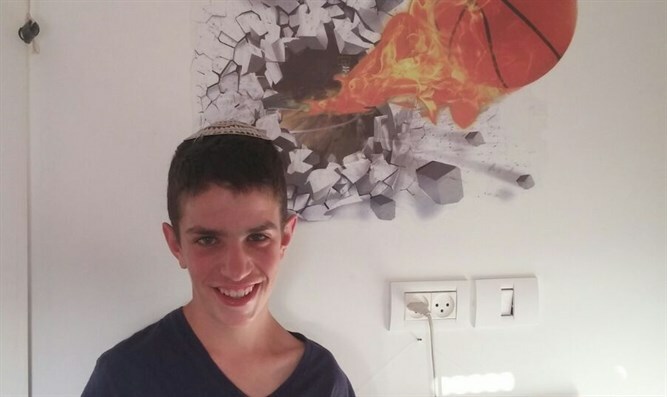 Haggai Goldstein 16, was rushed to Hadassah Ein Kerem medical center in critical condition after being struck by a car driven by an Arab driver Thursday morning. Doctors at Hadassah were unable to save him. Goldstein, a resident of Kfar Adumim east of Jerusalem, studied at the Ohr Torah religious high school in Ramot and was a counselor in the Hatzofim scouts youth movement. His funeral will take place tonight in Kfar Adumim. The driver of the vehicle fled the scene. After less than an hour, the driver was identified. Israel Police officers in the area spotted the suspect's car parked near his home in the Arab town of Al Khalayleh, next to Al Jib in Samaria. The driver surrendered himself to police and was arrested. He faces a court hearing tomorrow. Hadassah Ein Kerem released a statement: "Today a young person was brought to the trauma unit after being struck by a vehicle at the Golda Meir Junction. [He arrived] while still undergoing resuscitation efforts, which continued in the hospital as well. His condition was critical. Unfortunately, despite the extraordinary efforts of the medical staff, the boy succumbed to his severe injuries. We share in the family's grief."